Overwhelmed …by a loved one with dementia or Alzheimer's? “I want to thank Superior Care for being there when I needed them the most." If you're the primary caregiver for a loved one with dementia or Alzheimer's, your plate is full. Really full. 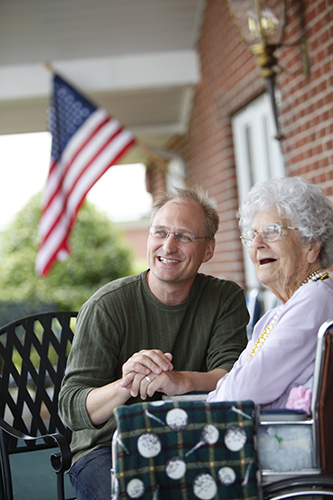 Offered in a special wing of the community, Superior Care Home offers exceptional memory care. Working closely with you and your family, the team will take time to get to know you personally. This approach is key to designing a daily routine to make your loved one feel comfortable, safe, secure, and very much at home. Activities of daily living like bathing, dressing, grooming, dining assistance, transfers, etc. Ready to experience Superior memory care? Book a tour.